Boese, J. A. Loretta's Settlement. Tyndall, S.D., 1950. Available in full electronic text at: https://archive.org/details/lorettassettleme00boes. Schrag, Martin H. "Volhynia (Ukraine)." Global Anabaptist Mennonite Encyclopedia Online. 1959. Web. 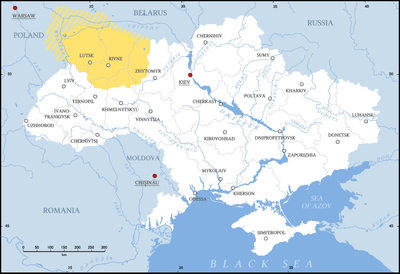 19 Apr 2019. http://gameo.org/index.php?title=Volhynia_(Ukraine)&oldid=163540. Schrag, Martin H. (1959). Volhynia (Ukraine). Global Anabaptist Mennonite Encyclopedia Online. Retrieved 19 April 2019, from http://gameo.org/index.php?title=Volhynia_(Ukraine)&oldid=163540. This page was last modified on 10 March 2019, at 23:14.